Lewis Rodrigoe (20)– skilful and consistent performer, who plays at left back or sweeper and has been a first team regular since the club started. Jamie Gavin (24) defender, who has been involved with the first team ever since the club started. 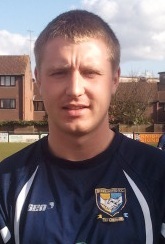 Ed Canham tall 24 year old centre half who joined this summer. 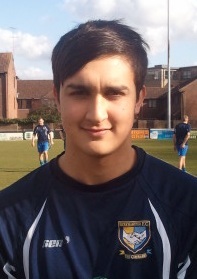 Adam Bevan 18 year old right back who has progressed from the club’s under 18 and development sides. Luke Hickson New signing this season from Totternhoe who can play in midfield or at centre back. Jack Copson Left back who has signed from Calor League side Leighton Town. Spent many years at Broadwater earlier in his career with the old Berkhamsted Town side in the Southern and Ryman Leagues.